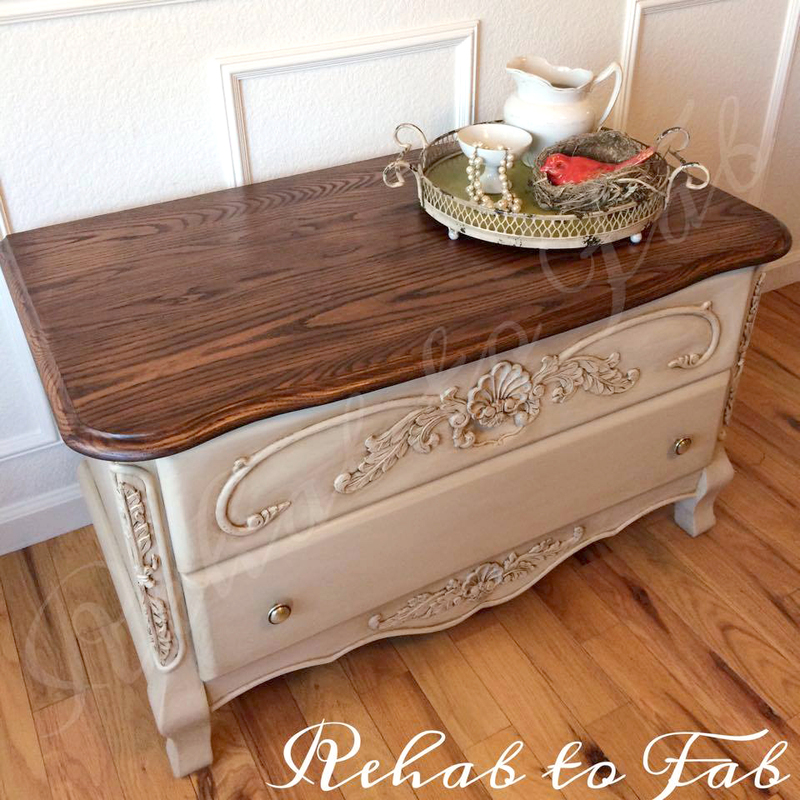 Stephanie at Rehab to Fab shared this absolutely stunning chest restyle! 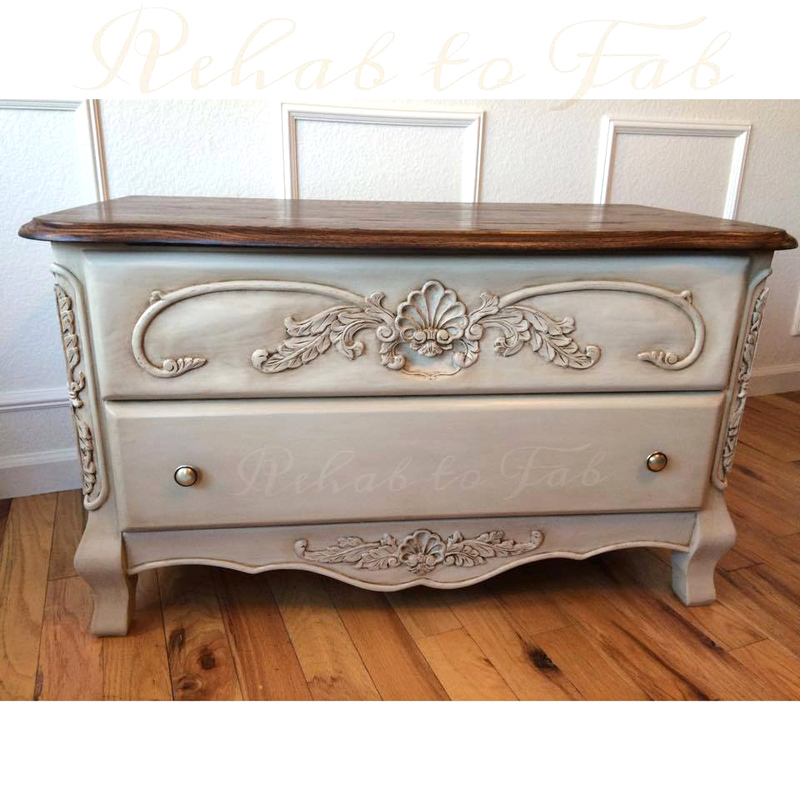 "This oak cedar chest is exquisite, elegant, and just over all gorgeous! It was a honey oak before & if you haven't heard...honey oak is so not cool anymore! So to bring this piece up to date I sanded the top, used wood conditioner (always do!) and did 2 coats of General Finishes Gel Stain in Java. Sealed with GF's Arm-R-Seal. 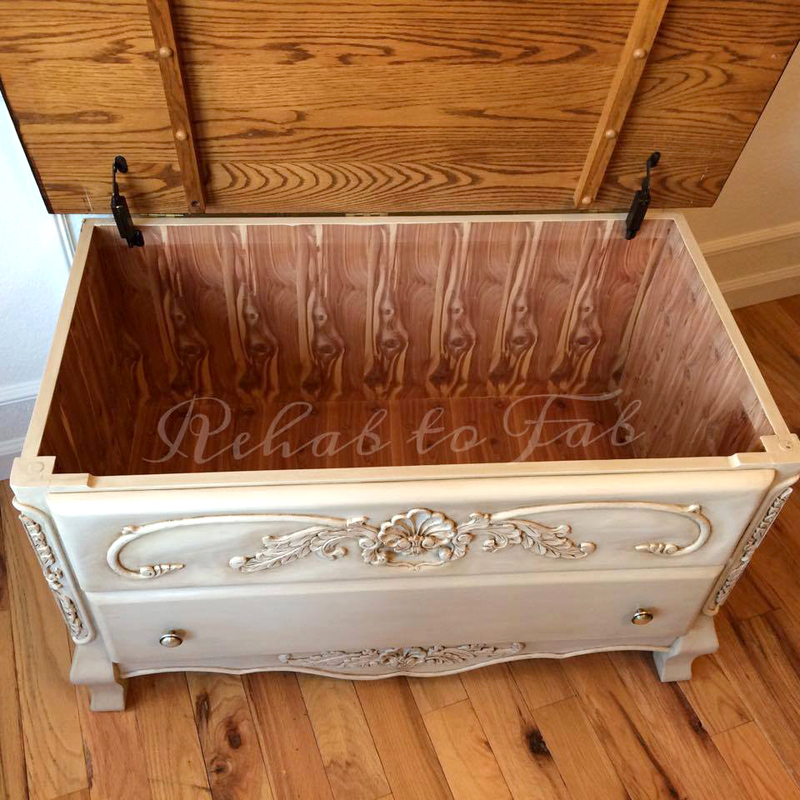 The body is a mix of General Finishes Milk Paint colors: Linen, Millstone and a splash of Snow white. It produced a color I call "Oatmeal." I then used GF's Van Dyke brown glaze to go to make the wood carved details pop. The body was then sealed with Polyvine Ltd Dead Flat wax finish... Thanks GF for always helping me produce a gorgeous piece that I can pass down!"